Full to the brim with the best unsigned music from across the UK, thousands of music fans were bopping along to fresh music at the Live and Unsigned Festival this weekend. The best under the radar artists took to the stage at the Indig02 in London on Saturday 10th July for the chance to be crowned the winner of Live and Unsigned 2010, and it was English indie band The Lottery Winners from Leigh who eventually took home the title! The Lottery Winners battled it out in live auditions and live heats across the country to eventually take away the top spot. 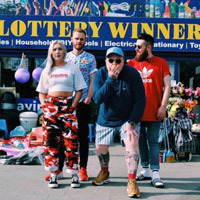 They were crowned the UK's best Live and Unsigned Act on the main stage of the Festival in front of a sold out crowd and an array of industry judges. Representatives from the music industry were out in force to meet enthusiastic newcomers at the Grand Final of Live and Unsigned, the biggest unsigned music competition in the UK for original artists. Over 10,000 acts entered the competition this year, and the Grand Final saw the cream of the UK's unsigned talent showcase their music in front of thousands of audience members and the judging panel which included Slade's legendary front man Noddy Holder, Radio 1's Annie Nightingale, Kerrang's Alex Baker and RnB star Shola Ama. The Festival played host to an eclectic mix of artists, with four genre categories performing throughout the day including Rock, Indie, Alternative and Pop/Acoustic/Urban. Category winners included rock band Underline The Sky, acoustic act Sam Garrett and alternative group We Beat The System. But the judges, alongside an energised audience, voted Indie band The Lottery Winners as the overall winner. Their winners package includes a management and recording contract, development of a clothing brand, publicity package and a UK tour. Chris Grayston, judge on the night and head of A&R at Future Music commented "The standard this year was fantastic. The competition has grown year on year, and this year has to be the biggest yet. The talent has improved, there have been some fantastic prizes up for grabs, invaluable development opportunities and Grand Finalists played on stage at the best live music venue in the country, the 02 in London. It was a great end to a great year. I am confident we have chosen the right winner. I am looking forward to next year's competition and working with The Lottery Winners and I'm sure we're going to be seeing a lot more of them." 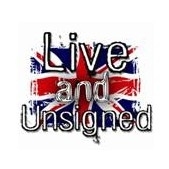 With over 30,000 registrations in the last three years, Live and Unsigned has cemented its place on the UK music scene as the largest unsigned music competition for under the radar, original artists. The competitions popularity comes from its reputation for encouraging originality and it's open to all unsigned acts regardless of genre, so it's got something for everyone! Live and Unsigned 2011 auditions will begin again in January 2011 and will be travelling across the UK. The Lottery Winners will head out on their first headline UK tour this autumn. Following on from winning Live And Unsigned, Stereoboard Interviews The Lottery Winners. 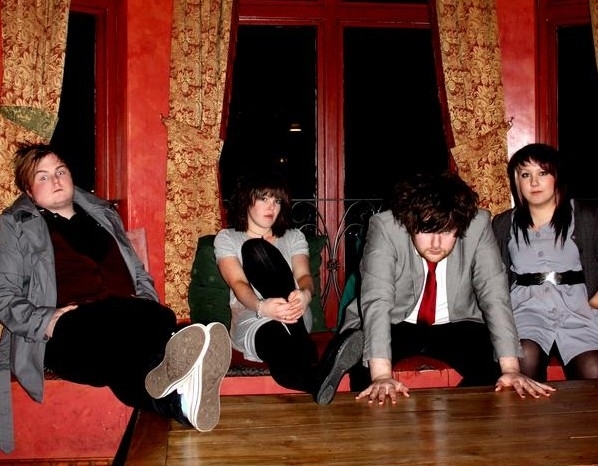 We find out what winning the competition has meant to the four piece from Leigh and what the band have in the pipeline now they have the title of Live And Unsigned 2010 winners under their belts.